Kung Hei Fat Choi! May the Year of the Dragon bring you many culinary adventures. 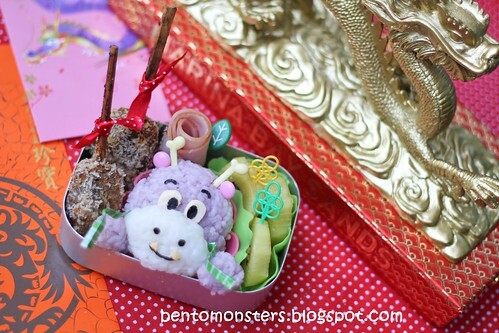 This adorable bento box is brought to you by Bento, Monsters - can you believe that Ming wasn't happy with how he turned out? I think he's incredibly cute. Happy New Year!